In this video I talk through the price levels you should avoid trading into and doing this will dramatically increase the likelihood of your trades working. In this video I’m going to talk about what price levels you should avoid trading into. So let’s get into it. Hi this is Andrew Mitchem here, the Forex Trading Coach, welcome along. Today is Friday, the 9th of August and that’s right I’m going to be talking about what price levels you should actually avoid trading into. I’m going to be talking about support and resistance levels but so many people talk about support and resistance and really when it comes to looking at that on a live chart what on earth do people mean. You know, there are so many different variables by what you could mean by the word support and resistance so I like to make things an absolute. I do look at support and resistance levels. I look at pivot points. I look at candles swing highs, swing lows etc. All of that is really important but the thing I want to concentrate talking about on this video and really share with you because it’s such valuable information is talking about the importance of not trading into round numbers. Round numbers are something that I call a number that ends in a double zero or a fifty (00 or 50). Go ahead and have a look at your charts and you will see that time and time again that every time that the price goes up to a certain level and stalls or bounces it usually bounces at a round number. So let’s say for instance, the NZD would bounce at 0.8000 or it may come down to 0.7900 or it might then bounce at 0.8050. So always look for those 50’s or those 00’s on whatever currency pay you’re looking at, whatever time frame. So when at the beginning I’m calling this video “What you should avoid trading into?” What you don’t want to be doing let’s say, take a by position on the NZD at 0.7995 let’s say. You’re buying right into that round number, that huge resistance level caused by that round number. The opposite, if you’re selling, let’s say that the NZD against the US was 0.8010 or 0.8005 or somewhere round about that you wouldn’t want to be selling, trading into that round number. So that’s what I mean by levels that you should avoid buying or selling into. Keep that out of your trading and that will dramatically increase the likelihood of your trades from working. The same thing when you are looking at profit targets. Don’t take a profit target let’s say I’m buying at 0.7910 and taking a profit target at 0.8005 or 0.8010. That’s just crazy. What you want to be doing is getting out of the trade before that psychological round number of the 0.8000. So get out of the trade at 0.7990 or 0.7995, somewhere around that if you are buying and looking for a profit target. Again, go back and look at the charts. Just go over and over charts. Look at those levels; draw them on as horizontal lines. That’s why I love them, because the horizontal lines that anybody can draw on the charts. It’s not subjective like other things maybe like indicators or even trend lines. Horizontal lines are horizontal lines. What you see is the same as what I see. So use those within your trading. Whats Been Happening On The Charts This Week? Now on the charts this week we have seen some weakness in the USD and we are seeing some strength in the GBP and the JPY. Today being Friday the JPY looks like it is retracing slightly so some weakness coming there, but overall for the majority this week there has been strength in the Yen. The other thing I want to talk about is a Live Webinar held for my clients yesterday. Had a great Webinar. We took three trades live and we concentrated mostly on talking about exhaustion patterns. So that is something that I might talk about on the video here, the weekly video here this time next week because again it is another thing that you can add to your trading arsenal to give yourself high probably trades. And lastly, feedback from my free webinars. It’s just has been absolutely outstanding. Really pleased with the feedback. People are gaining huge amounts of valuable information. I look at trading slightly differently to a lot of people. I don’t use a lot of indicators. I don’t use trailing stops. I don’t worry about how many pips I’m making. So quite a different way of thinking about trading to what most people would like you to believe is the right way. If you haven’t been on one of those webinars yet, make sure you do sign up for them. They are held twice a week for the absolute beginner ones and twice a week for the people who have been frustrated with their trading and not really getting anywhere after been trading for a while. So all out 4 webinar times to choose from each week. They are free to join. You can find them on my website. That’s it for now. Have yourself a great weekend. Look forward to talking to you this time next week. 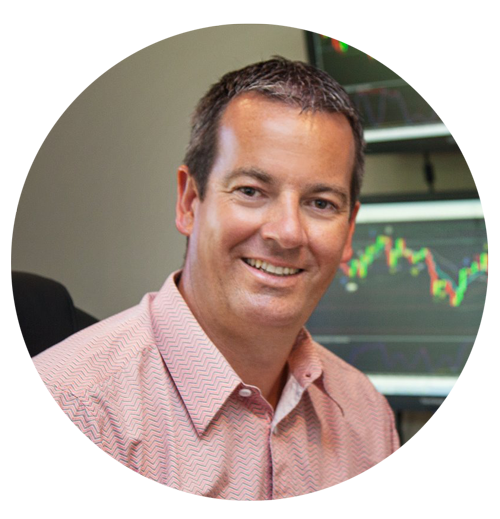 I’m Andrew Mitchem from the Forex Trading Coach.